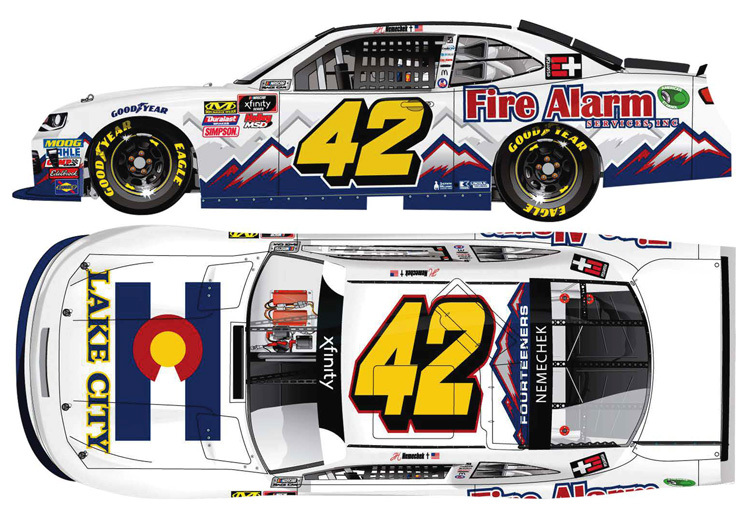 2018 John Hunter Nemechek #42 Fire Alarm Services / Chevrolet Camaro NASCAR diecast, by Action Lionel. 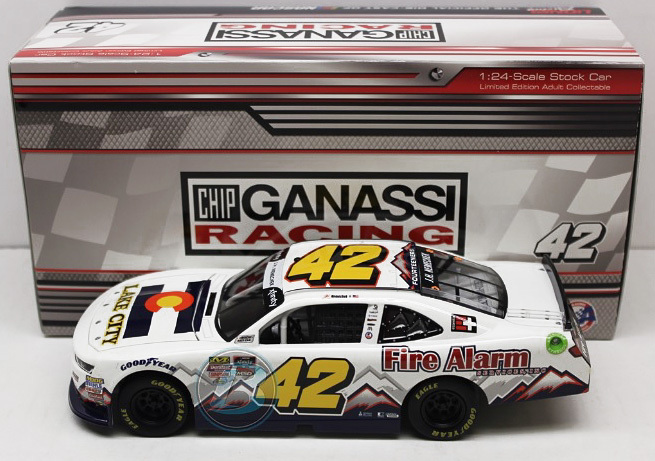 The Chip Ganassi Racing #42 Fire Alarm Services Chevrolet Camaro was raced by John Hunter Nemechek in the NASCAR xfinity Series, Rinnai 250 at Atlanta Motor Speedway on February 24, 2018. 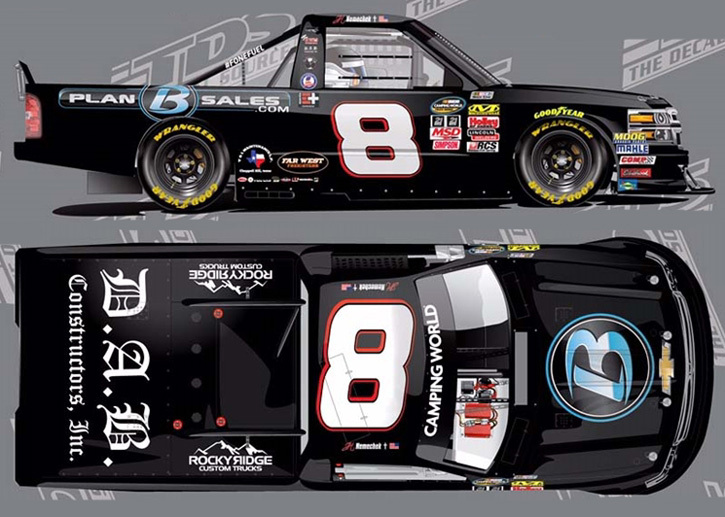 This was John Hunter Nemechek's NASCAR Xfinity Series debut. 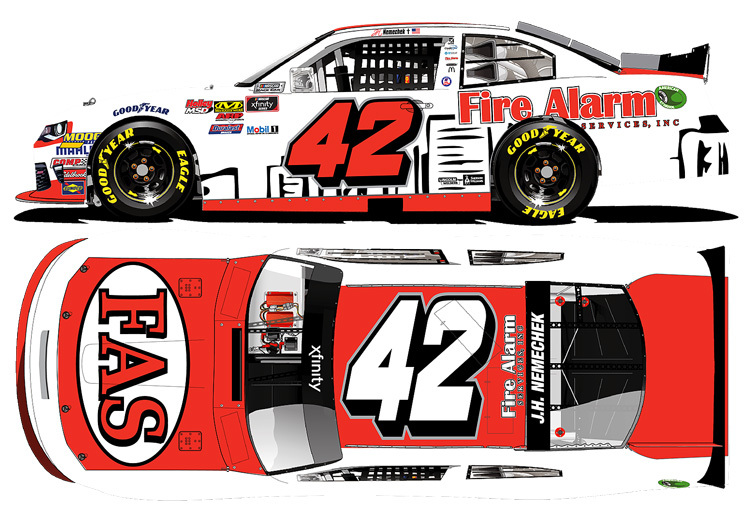 2018 John Hunter Nemechek #42 Fire Alarm Services / Lake City / Chevrolet Camaro NASCAR diecast, by Action Lionel. 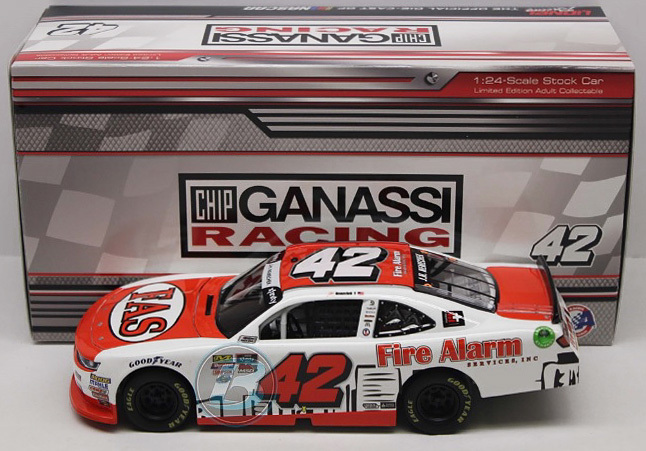 The Chip Ganassi Racing #42 Fire Alarm Services Lake City Chevrolet Camaro was raced by John Hunter Nemechek in the NASCAR xfinity Series, Ford EcoBoost 300 at Homestead-Miami Speedway on November 17, 2018. 2018 John Hunter Nemechek #42 Fire Alarm Services Pink / Kansas Win / Raced Version / Chevrolet Camaro NASCAR 1/24 diecast, by Action Lionel. 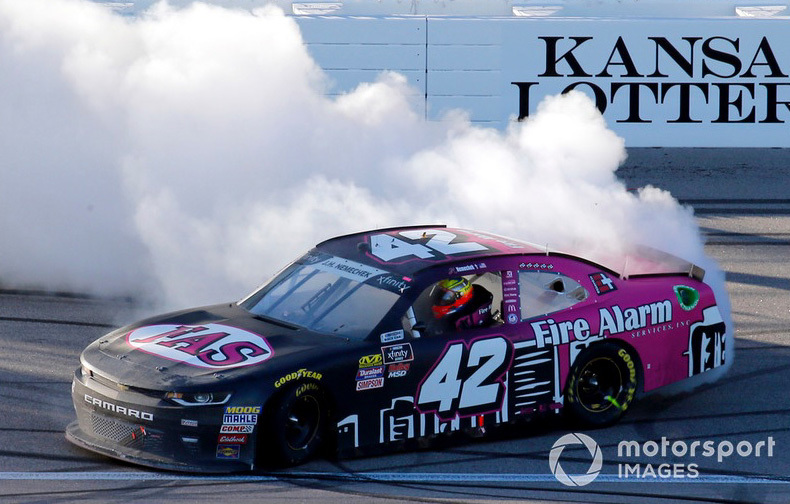 John Hunter Nemechek raced this Chip Ganassi Racing #42 Fire Alarm Chevrolet Camaro to victory in the NASCAR xfinity Series, Kansas Lottery 300 at Kansas Speedway on October 20, 2018. 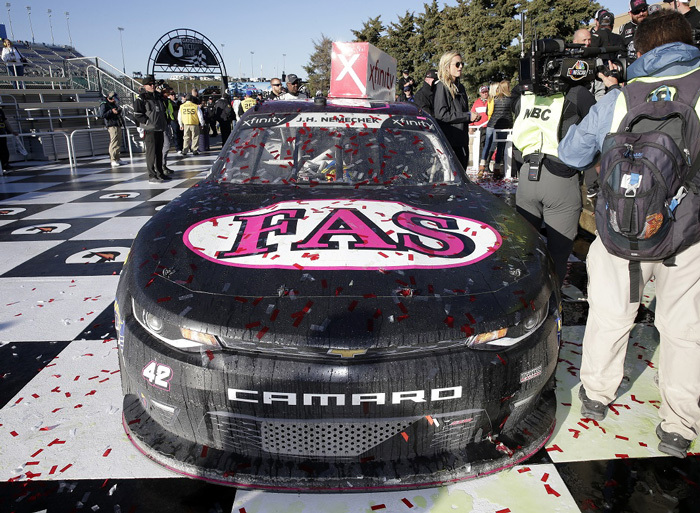 This was John Hunter Nemechek's 1st career NASCAR xfinity Series Win. This diecast car will come with a bag of confetti from Victory Lane and race winner decal. 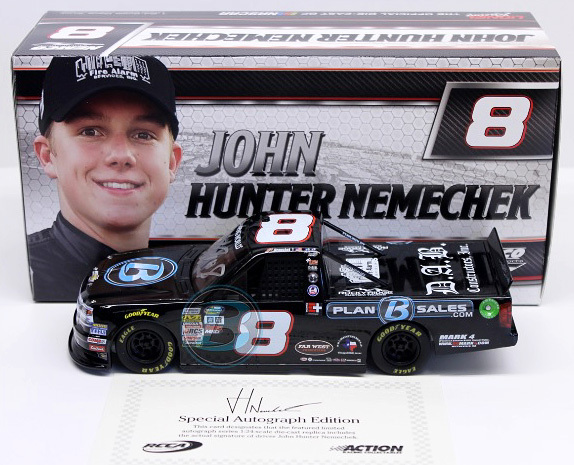 Autographed - This diecast truck was autographed by John Hunter Nemechek, on the windshield in Silver. Includes an Action Racing Collectables certificate of authenticity.